Two of our Scholastics, Bro. Santhiyogu Vincent Michael, OMI and Bro. Vethanayagam Anucious, OMI made their Final Vows on December 08, 2018 at De Mazenod Chapel, Colombuthurai, Jaffna. Very Rev. Fr. 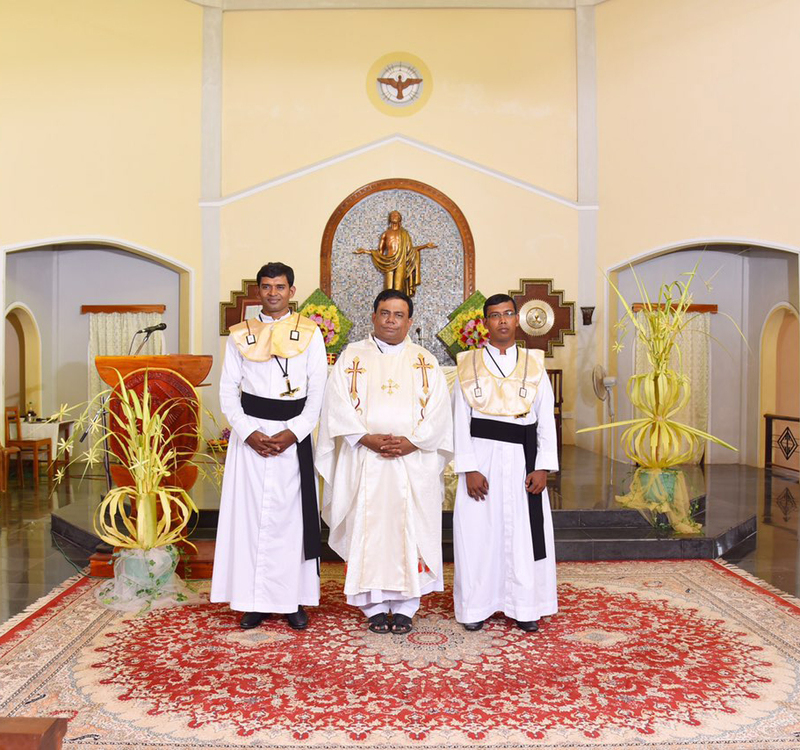 S. Edwin Vasantharajah, OMI, the Provincial Superior – Jaffna Province received their vows. On December 09, 2018, the following day Bro. Sahayathasan James Surenthirarajah, OMI and Bro. 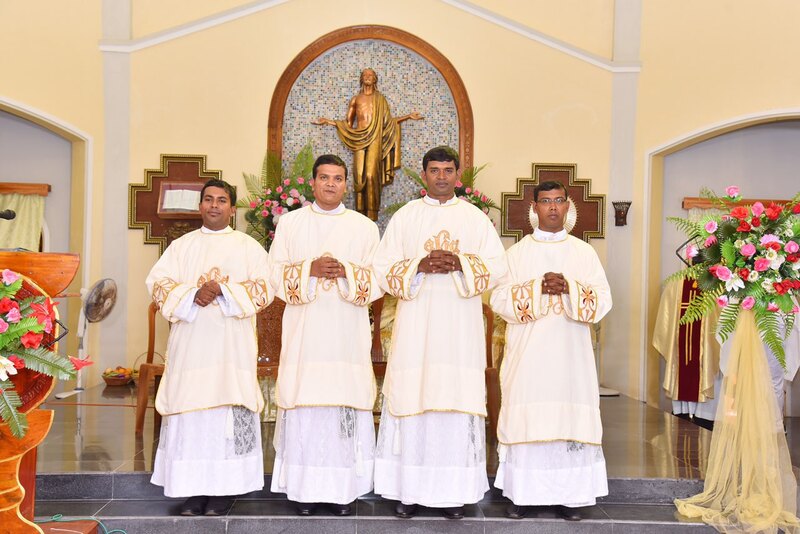 Amirthanathar Siyanstan Jenis, OMI who completed their theological studies in Rome, joined with Bro. Santhiyogu Vincent Michael, OMI and Bro. Vethanayagam Anucious, OMI for the ordination to the Diaconate. Rt. Rev. 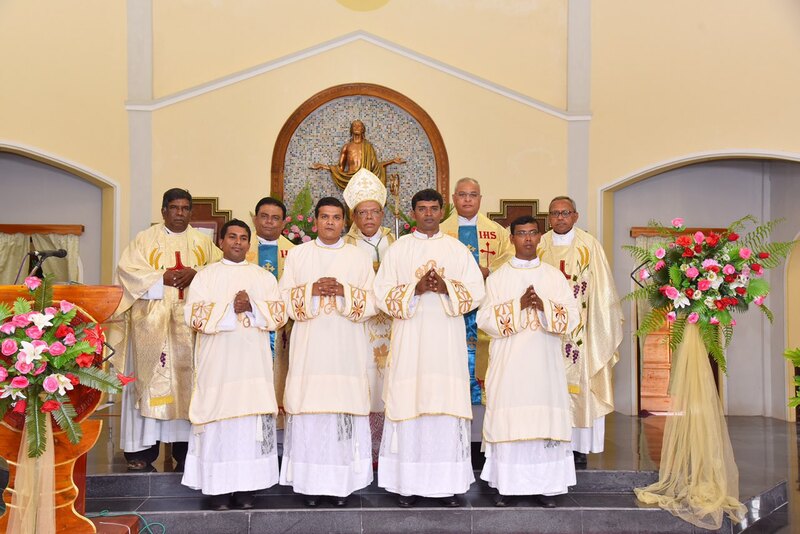 Dr. Joseph Ponniah, Bishop of Batticaloa presided over the Eucharistic celebration and ordained them Deacons.